Why Does this Church Exist? 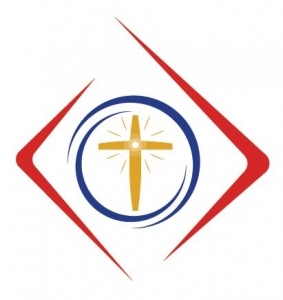 The Mystical Church of Christ is a spiritual organization created to provide a path and community for spiritual seekers interested in the Christian Mysteries. It is our mission to offer those wishing to fulfill a meaningful purpose of a life in service to God, the opportunity to do so. The ministers, Priests and Master Teachers of this mystical church believe that in order to fulfill a life of service at the highest level, seekers are encouraged to do the necessary spiritual work to connect with the presence of their soul and realize the inner Divine Presence known as the Self (also referred to as the God Self or The Christ) within themselves. Those committing to the spiritual path may be given spiritual initiations at various points in their training. The initiations offered at the Mystical Church of Christ include Baptism, Illumination and Self Realization. Someone seeking mystical baptism may request this initiation. The process includes a thorough retrospection of one’s life followed by a ceremony held at a Sunday Service. Illumination and Self Realization are initiations which help a seeker understand the Christian Mysteries. These initiations are given at the discretion of their Priest or Teacher. They are not given by the request of the individual. These three Solar initiations are intended to assist the seeker in understanding the Mystery Teachings. The Christian Mysteries include an understanding of the Way as Jesus taught; the various spiritual practices needed for an individual to reach God Consciousness. The transformation of the bread and wine into the Body and Blood of Christ, known as Communion or The Eucharist is also part of the Christian Mysteries. Church members may receive Communion several times a week including as part of Sunday Services. This is the path of direct experience with Christ, the attainable spiritual experience of the Creator and the Christ Force. We believe and know that the experience of Christ as an inner Presence is the foundation of permanent and dramatic transformation as well as a way to access phenomenal Wisdom and Truth. In coming into relationship with the true aspects of themselves (soul and God Self), individuals pass through various levels of consciousness with the ultimate destination being Self Realization, awareness of Christ Consciousness and subsequently God Consciousness or God Realization. A person’s life of service continues to refine and improve as they integrate their new consciousness into their worldly life and avenues of service. As one’s journey of enlightened realization unfolds, the initiate is liberated from limiting concepts which originated in their past. Wounds from childhood, prior heartbreaks, disappointments and perceived failures are healed and lifted as they approach the experience of knowing the Self. Greater energy is available to the soul and in time, it becomes evident that life is most fulfilling when given the opportunity to serve God and humanity. All classes and Services offered at The Mystical Church of Christ support this path as our top priority. Social functions are also important and from time to time, dinner outings, movie night, game nights, other functions offer the chance to connect in more casual settings.